This is the star of today's release: the ability for you to easily connect to your Term Stores, and migrate what you need without any complications. Just Drag...and Drop. Instead of creating an entire separate tool, we decided to include this in the "Copy Site Objects" tool as a new object in the navigation. This way you'be be able to continue using the familiar interface we have all gotten used to. As you noticed in the picture above, you can connect to all the Term Groups and Terms in the Managed Metadata Services connected to the URL you specified in Sharegate. If you're migrating Items or Documents that have an assigned term in a column, there is a chance that the term doesn't yet exist in the destination's Term Store. Sharegate automatically creates these missing terms for you at the destination. Of course, this will only work if your Term Set has its Submission Policy set to Open, and your Managed Metadata Column has the Allow Fill-In values enabled. Everyone's been working on SharePoint for while, and now you have way too many Versions of items and, especially, documents. Well, we made sure Sharegate has an easy setting to give you control over the number of Versions in the Version History you wish to migrate over to the destination. We made this option is available in both the Copy Site Objects and Copy SharePoint Content tools. Do you really want to migrate content that has not been edited in the last 3 years over to your brand spanking new SharePoint? With Sharegate, you can apply a filter that enables you to only migrate the content that you want to the right location. You can even use this to migrate your old content to an Archive in your SharePoint environment. You no longer have to worry, when migrating documents with Required Columns, about them being blank somewhere in the version history. This means that you can keep the integrity of your version history when migrating Lists and Libraries in the Copy Site Objects tool. Many companies use a Proxy to connect their SharePoint, wherever it is. You can now configure your Proxy settings and save them for each URL you want Sharegate to connect to. Enjoy these, and all, Sharegate updates! 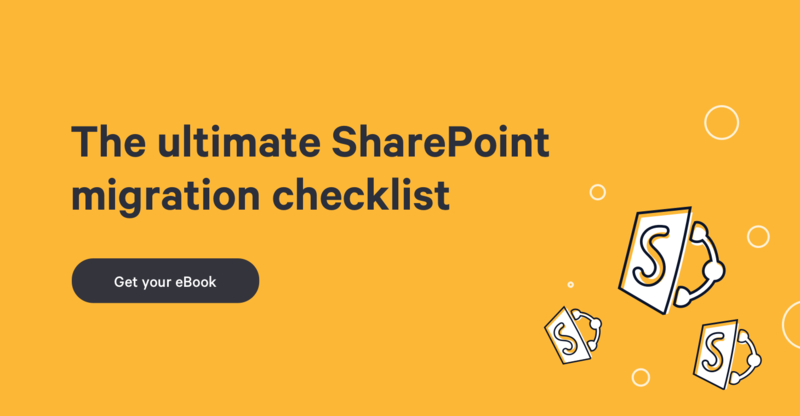 Don't forget: we want to continue making Sharegate the simplest and most comprehensive SharePoint Migration & Management tool, so we need your suggestions. Help us keep the momentum going, and send us your honest feedback!